Whew! So glad to be done with this!! And happy the way it ended, although I am sad about the time. The race was to start at 7am, I got there at 5.40am to find a parking spot nearby. Cold and slightly windy morning that promised to turn out to be a great day. 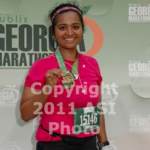 I met a very nice girl at the start who mentors the Fleet Feet Alpharetta running group. She helped calm my nerves so much. I squeezed my way to the middle of the pack and I crossed the line at 7.04am. My plan was to run-walk. 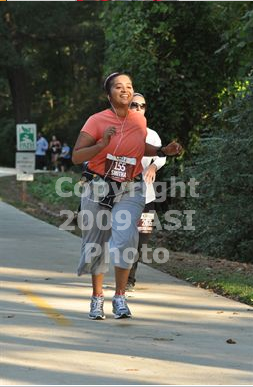 I didn’t do the exact 2:1 that is recommended for me; more like run a part of the song walk a part. 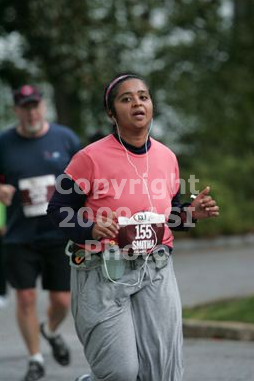 But it seemed to be good as I was feeling fresh when I crossed the half way mark. I was making the time I was supposed to and still under 13:00 pace. 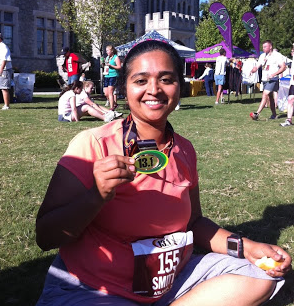 At that pace, I felt that I could even do a 2:55 finish! Sigh … big un-real dreams. 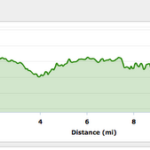 I guess I started to fall back after mile 8 when the hills started getting more challenging. 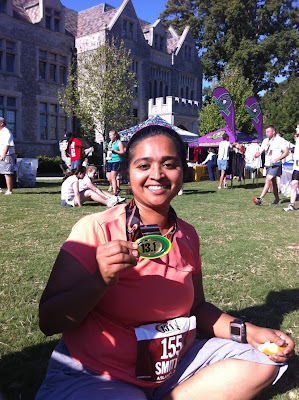 My biggest challenge in the past has been cramps and IT band issues after 9 miles. Every little twinge in my leg scared me and I took stretching breaks. 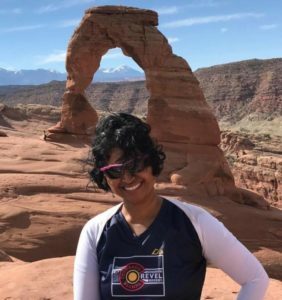 And at mile 10.5 I took a nice long time to stretch my muscles, I even sat on the sidewalk to stretch out my inner thighs. Luckily, there were quite a few people doing the same, so I didn’t feel weird. 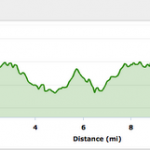 Thats when I think I accidentally stopped the Garmin. I realized it was off only after 0.5-0.75 miles, so I don’t have the mile splits for the most important last 3 miles. 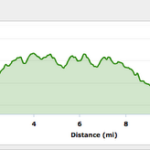 The last 2 miles were more hilly than should be, or it could just be my feet being tired. I crossed 12 miles and started running strongly again. I knew I couldn’t beat 2:55, but wanted to make that 3:00. 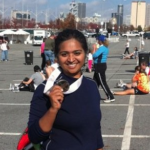 Guru and the girls were there cheering me at the finish line. 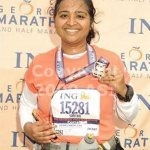 I love love the big wide grin both Sudha and Brinda gave me as they saw me running towards the finish. Really happy that I didn’t cramp or have IT band issues (either due to my sports chiro adjustment or due to the right combo of gatorade/water or due to the weather being awesome and me not sweating too much or the run/walk combo or taking time to stretch out at miles 8, 10.5 and 12). 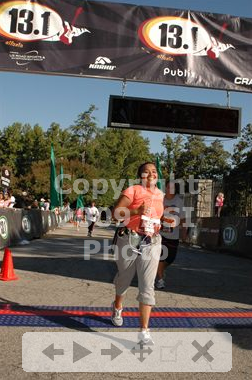 But sad and surprised that I didn’t break 3hrs. I had thought I would and I was off by 2 whole minutes. I guess I still need to strengthen myself and learn to tackle the last 4-5 miles well. My final time was 3:02:52. And I have until Nov 25th (Thanksgiving) to try and shave 3 minutes off my time. 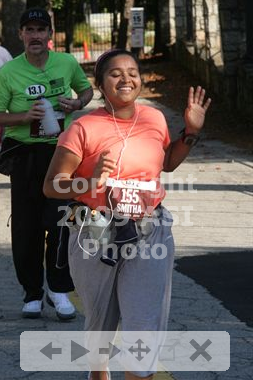 I wasn’t always running so smiley though. There were certain times I felt downright miserable and wondered why I was doing this!